Designed to take the toughest field abuse, General’s sturdy new plastic container has been drop tested from 8 feet – fully loaded – without damage. That’s more than twice the height of a standard test. Holds up to 50 ft. of 1/4″ or 5/16″ cables. The new Quick-Grip™ chuck tightens firmly on the cable with just a quarter turn. Three chuck jaws securely hold 1/4″, 5/16″ and 3/8″ Flexicore® cable for a wide range of small-line jobs. Operate the D-25 Handy as a hand tool – or a power tool! 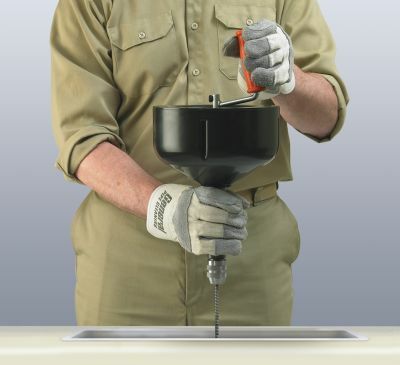 Simply remove the turning handle and attach a 3/8″ or 1/2″ electric drill for extra muscle on tough clogs. 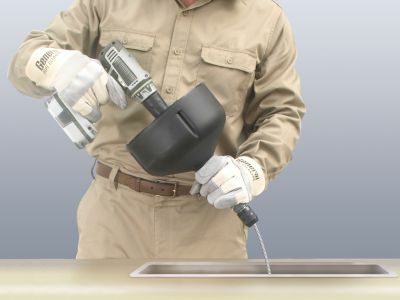 With a capacity of 50 ft. of 1/4″ or 5/16″, and up to 35 ft. of 3/8″ Flexicore® cable, the D-25 Handy easily unstops sink, shower, toilet, and laundry drain lines from 1-1/4″ to 3″ in diameter. Flexicore cables come with a regular head or a down head to maneuver the cable though tight bends. Flexicore® wire rope center cables are coiled tightly over a core of aircraft-type wire rope – then heat-treated – giving the cables outstanding strength without sacrificing flexibility. 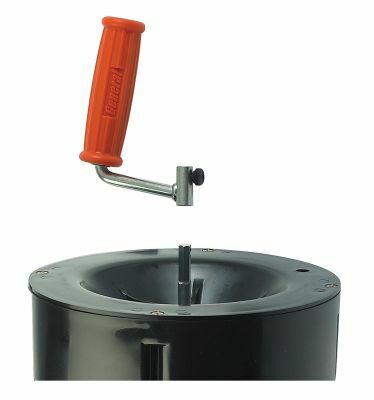 Attach to any drill – Take off the turning handle and attach to any 3/8″ or 1/2″ drill.